Diet high in sugars and or carbohydrates. Diet consisting solely of processed and dry feeds. Diet lacking in quality proteins as would be found in fresh meat and poultry. These are essential for pet health. Processed feeds that have hidden sugars and polyunsaturated oils to include trans fats. A diet low in Omega oils in particular an imbalance between Omega 3, 6 and 9. with the percentage of omega 6 higher than it should be. Omega oils that have been added at the time of manufacture as these will have been exposed to heat, light and oxygen. Plant based contact allergens in the environment to include: some grasses, wandering willy, ivy, jonquil sap and many more. Flea bites on the skin will trigger an inflammatory and histamine response. Periods of stress and anxiety may present itself later as skin related irritations. Some endocrine problems like cushings and thyroid issues may cause skin problems and loss of hair. Skin parasites and some fungi like ringworm will present as irritations. 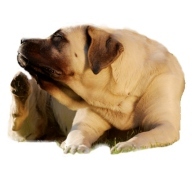 Ear mites can bring some dogs to despair causing them to scratch to the point of bleeding. In some cases Compulsive Obsessive Scratching occurs in response to an allergen. Areas under the belly or between legs will be red and inflamed. Ensure that the home and garden is free from known allergens and poisonous plants. Where possible minimise exposure to known allergens. Treat for fleas as their bites can trigger an allergic response. Reduce the percentage of grains in your pet’s food. Some dry kibbles have little or no grain. If feeding any processed foods make sure that they have no added polyunsaturated oils or omega oils at all. Coconut oil is fine. Make sure there is no hidden sugars in any processed food. Do not feed sweet treats no matter how appealing those eye are. St John’s Wort may help with obsessive compulsive paw licking by addressing the dopamine/ cortisol feedback loop. Ashwagandha which is an adaptogenic herb will help with endocrine related skin irritations. Nettle, added to your pet’s food while cooking or if on a raw diet just blanch the leaves to reduce congestion and inflammation. Quercetin is a member of the flavonoid family which helps stabilise the cell membranes of mast cells and basophils thus preventing them from spilling their supply of histamine/seratonin into the surrounding blood and tissues. Chlorophyll, blue green algae, spinach and kale are good supplies of this flavonoid. Vitamin C The same stress that triggers the release of histamine increases the need for vitamin C, Studies have shown that between 1gm and 3gm will reduce the histamine levels by 40%. When washing your pet rinse off with a weak solution of organic cider vinegar. Sometimes just rubbing the area with coconut oil will help soothe the skin. A spray containing Calendula and St John’s Wort can help address minor allergic responses. Ear mites can be addressed by applying a range of essential oils as well as macerated Calendula and St John’s Wort.